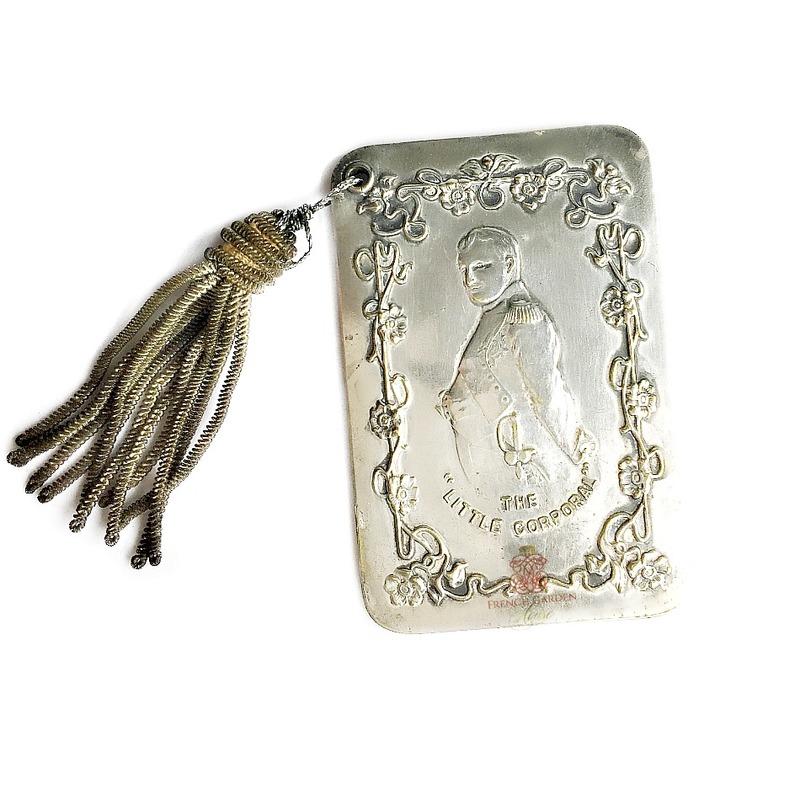 A cherished and romantic accessory, this silver Aide de Memoir or Carnet de Bal is a treasured piece of history. 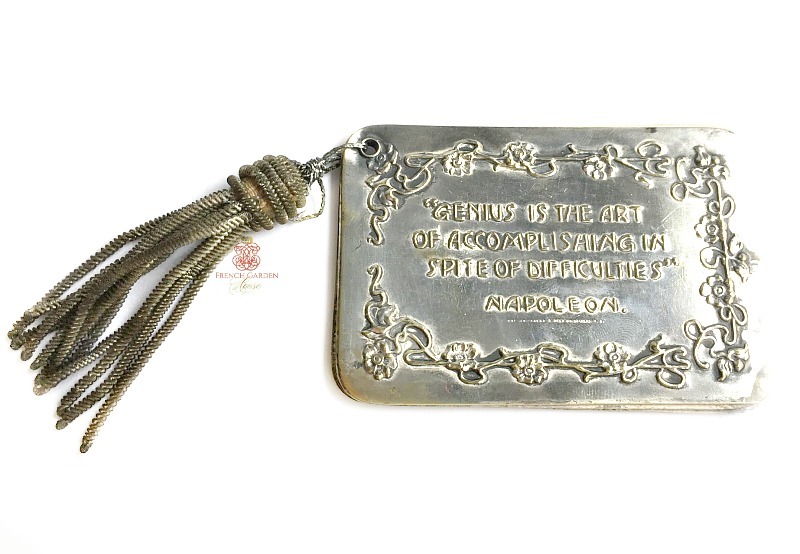 The front has the embossed image of "The Little Corporal" Napoleon Bonaparte on the front, the back features a quote attributed to Napoleon; "Genius is the art of accomplishing in spite of difficulties." 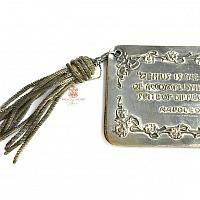 The 2-1/2" silver bullion tassel adds the final luxury touch to this petit treasure. Used over a hundred years ago, this one is rare to find as it has a very "manly" image, thereby causing me to wonder if young men used these to write down notes to remember? Otherwise, these were used by a lovely young lady to note down who she promised to dance with, or to write small little notes to herself. Her head filled with romance and dreams, this may have been a souvenir gifted to her by someone she loved. 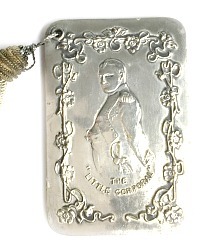 This small rare to find and very collectable treasure is a treat both to add to a collection of lady's accessories as well as to a gentleman's collection of Napoleon memorabilia. It may have been a luxury advertising gift. 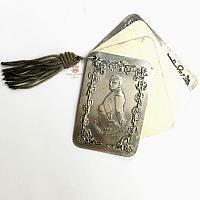 There is some aging as shown, to be expected of a useful antique this age.